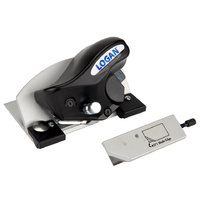 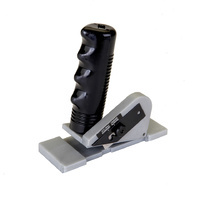 The Logan 760-1 Simplex Elite is a multi-material sizing tool, trimmer and mat cutter all in one. 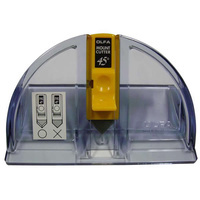 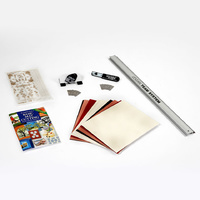 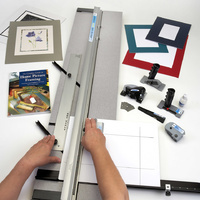 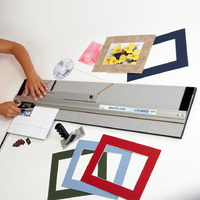 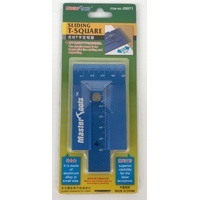 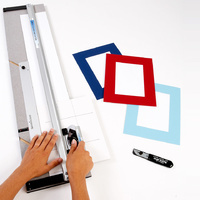 The Simplex Elite Mat Cutter is a complete artist’s studio tool for sizing mat board, foam board, cutting glass and acrylic plexi and can trim paper and photographs making it a multi-material sizing tool with lots of uses for many different substrate types used in framing, photography and general craft use. 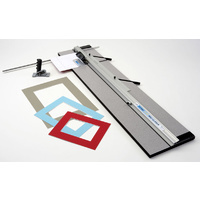 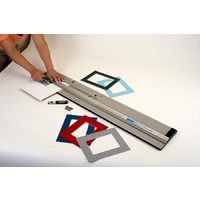 The Simplex Elite Mat cutter is a base board mounted mat cutter with a 60″ (152cm) capacity. 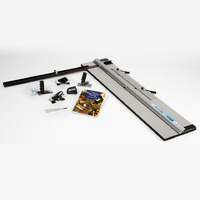 It features a hinging guide rail with production stops, parallel mat guide in aluminum channels, and 32″ (81cm) squaring arm with stop. 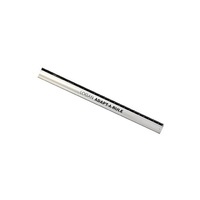 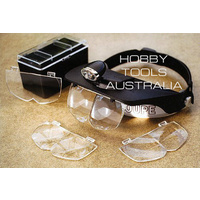 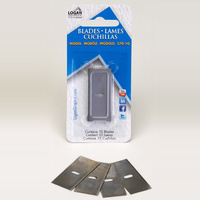 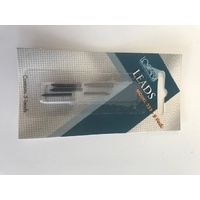 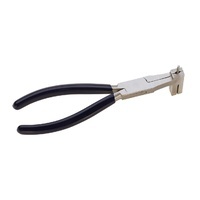 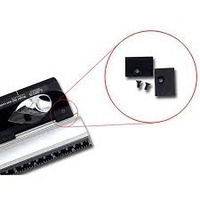 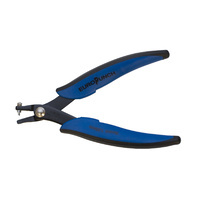 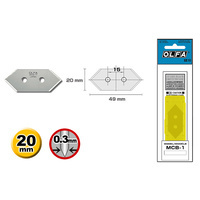 Cutting heads and accessories include bevel and straight cutting heads, 8 ply bevel cutter, glass cutter, acrylic plexi cutter, paper trimmer, and a copy of Logan’s newly updated Complete Guide to Home Picture Framing. 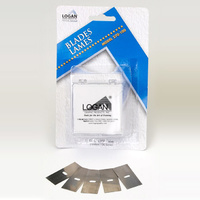 Uses Logan 270 or 271 blades and Logan 786 glass wheels. 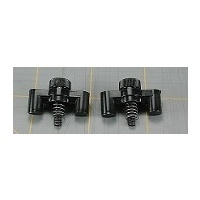 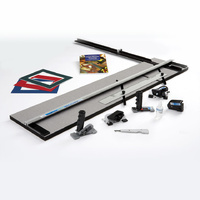 The Simplex Elite mat cutter is an ideal machine for serious artists needing a full featured mat cutter that has the capability of downsizing many other types of materials along with mat board and foam board.